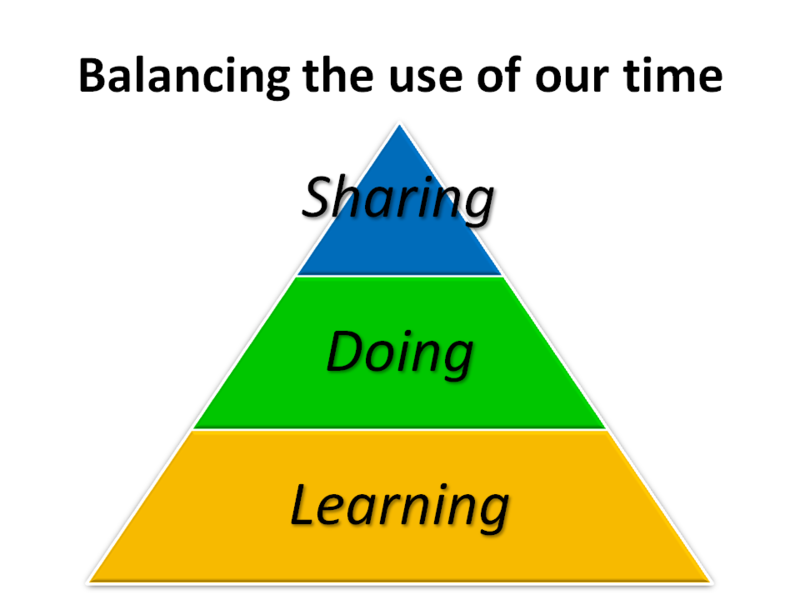 the way your time should be spent is largely like a pyramid, with a wide base of learning, with a smaller level of acting on top of it, which is directed by the learning, and then on top of that, an even smaller level of writing about it. If you begin to live your life differently than the pyramid should be built, it becomes unbalanced and topples over. This made a lot of sense to me, and after sharing the thoughts with a colleague, was prompted to put it into a visual. @Jesper, Ummm, yes, good point! I’m most definitely learning as I share and write about this….! Gets confusing pretty quickly, LOL! More seriously though, you brought me back to one of my favourite topics of “working out loud”, and made me wonder how that changes the proportions of the pyramid, if at all? Interesting. Pingback: Simon Scullion | Why write?